The stars spark new sensations. Youthful fascination flies with UFOs and Rockets. Inspiration aligns with the planets. And spacemen lead the way to wonder. 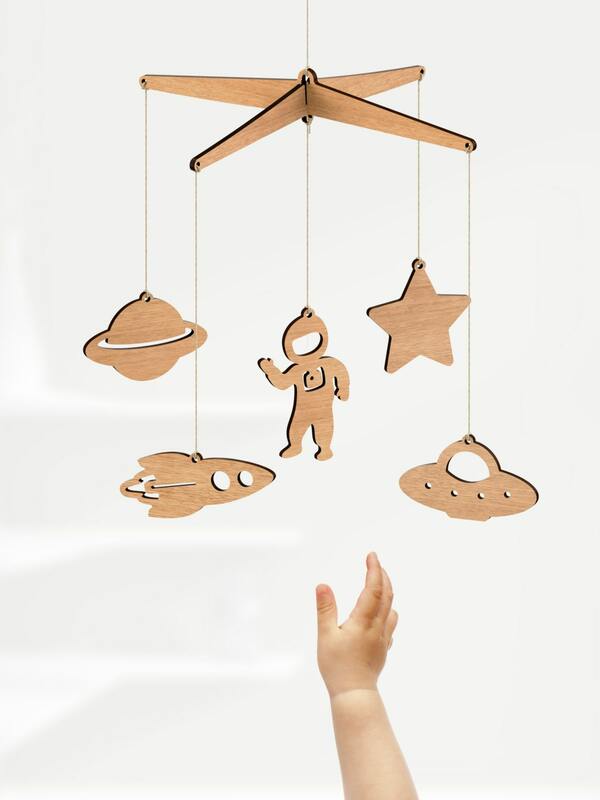 Wishing upon a star is easy with this exquisitely constructed Space Baby Mobile. 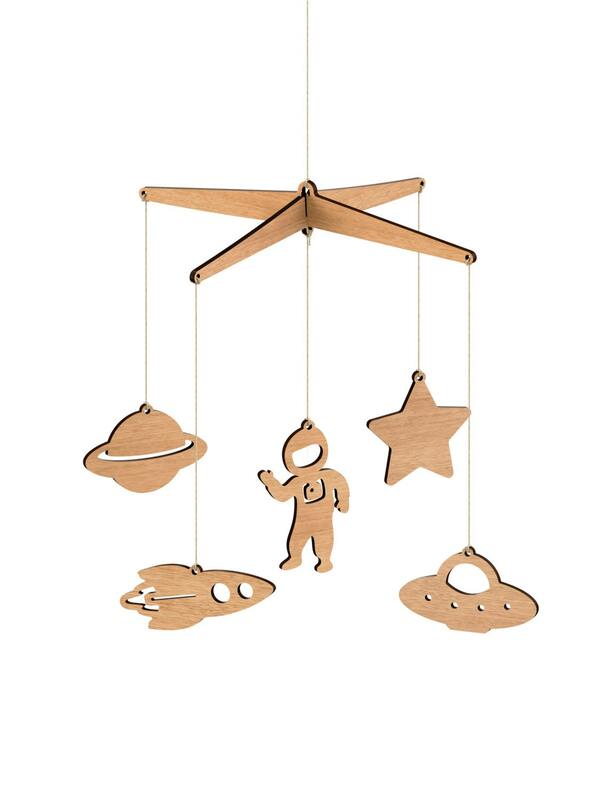 We absolutely love this mobile! Fits in perfectly with the theme for our son's room! 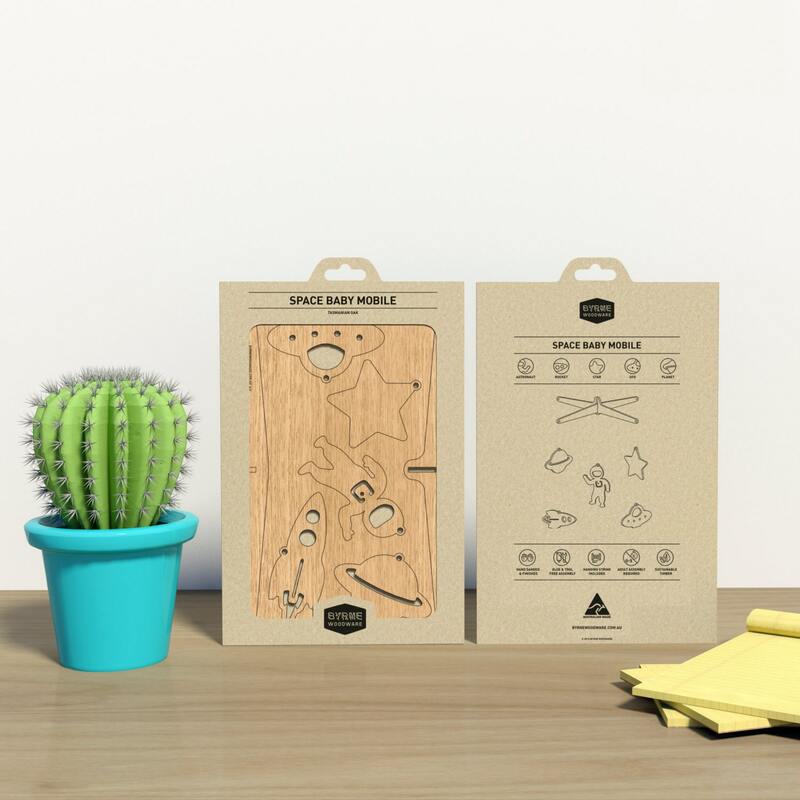 Super easy to assemble too! Super Cute mobile for my daughter. A+ ALL AROUND! FAST AND EFFICIENT!